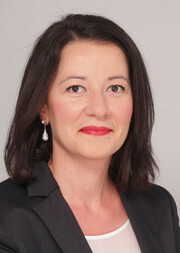 Dimitrova DV (2012). Neural Correlates of Prosody and Information Structure. PhD Thesis, Rijksuniversiteit Groningen. Grodil: Groningen Dissertations in Linguistics 100. Dimitrova DV, Stowe LA, Redeker G, Hoeks JCJ (2012). Less is not more: Neural responses to missing and superfluous accents in context. Journal of Cognitive Neuroscience, 24, 2400-2418. Dimitrova DV, Stowe LA, Redeker G, Hoeks JCJ (2010). Focus particles and prosody processing in Dutch: Evidence from ERPs. Speech Prosody 2010, 100979 (pp. 1-4), ISBN: 978-0-557-51931-6. Dimitrova DV, Redeker G, Hoeks JCJ (2009). Did you say a BLUE banana? The prosody of contrast and abnormality in Bulgarian and Dutch. Proceedings of Interspeech. (pp. 999-1002). Brighton UK. Dimitrova DV, Redeker G, Egg KMM, Hoeks JCJ (2008a). Prosodic correlates of linguistic and extra-linguistic information in Dutch. In B. C. Love, K. McRae, & V. M. Sloutsky (Eds. ), Proceedings of the 30th Annual Conference of the Cognitive Science Society (pp. 2191-2196). Austin, TX: Cognitive Science Society. Dimitrova DV, Redeker G, Egg KMM, Hoeks JCJ (2008b). Linguistic and extra-linguistic determinants of accentuation in Dutch. Speech Prosody 2008 (pp. 409-412), May 6-9, Campinas, Brazil.